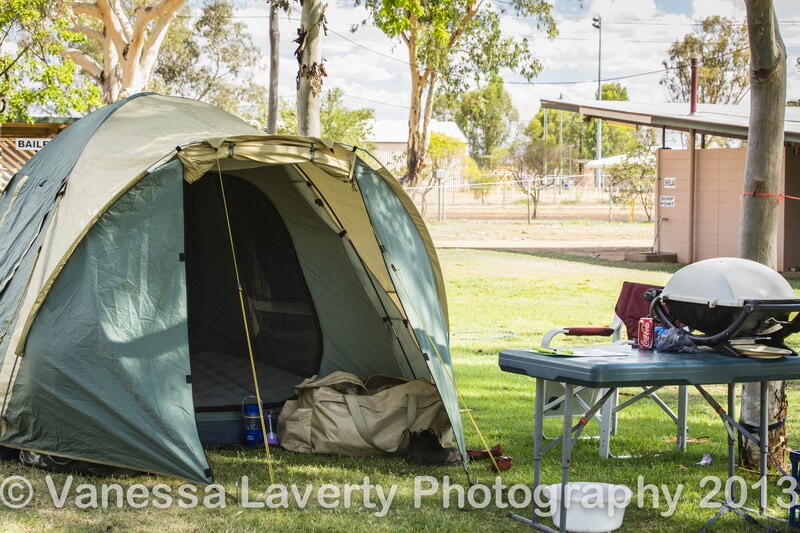 The Bailey Bar Caravan Park was not only recommended by WikiCamps but also by others who had stayed there. As there are only two van parks in town, we checked out both but once we saw how shady and green the Bailey Bar was, we booked in for the night. And we can’t recommend it highly enough either. For a start, Sarah, who was managing the park while the owners were away, could not do enough for us. She was not only helpful but every request was met with a genuine smile. She parked us under a shady tree and as it was so hot (40.9) the sprinklers were on watering the grass. The sprinkler went right over our spot but I didn’t care in the least. I actually sat my chair right under its path. The grass was lovely and green – mainly due to the multitude of sprinklers set around the grounds. As they run off Artesian water, it is clearly in plentiful supply. It made such a difference seeing green grass and hearing the sprinkler. This park is very dog friendly and in fact, even give your dog a souvenir of it’s stay there in the form of a dog tag which was a lovely touch. 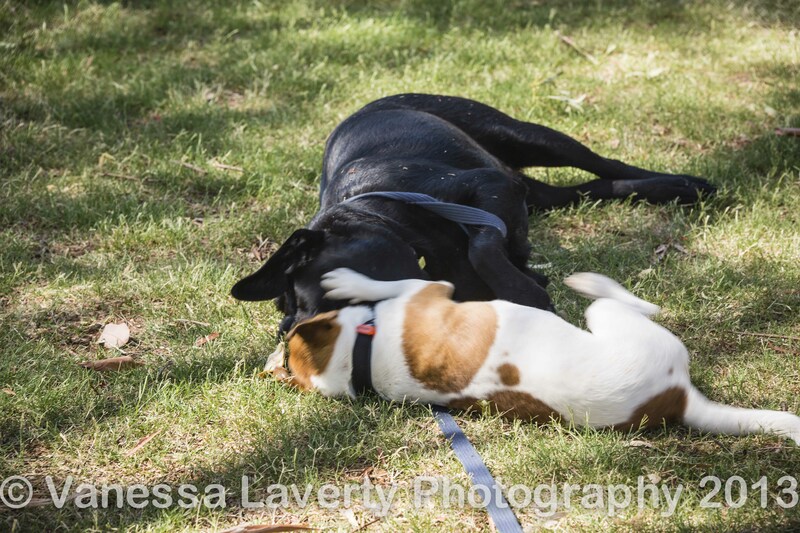 The owners had a Labrador named Chico who was very happy to have a little friend to play with and he and Pepe got along beautifully. The owners also had free range chickens running around the camp site – a fact which did not escape Pepe’s eyes but he was eternally frustrated that he couldn’t get to them. Some of them had chicks so I took some images. 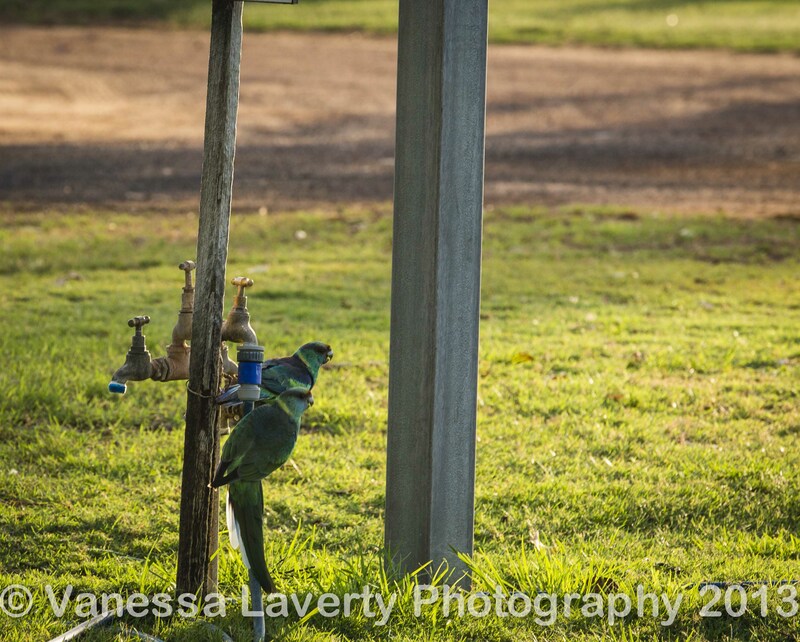 And even the local birdlife came to play at the taps. The amenities here are simply wonderful though the only thing negative I could find in the shower complex was that the water is fed directly from the Artesian Bore which means that even at 8:30 at night the water was far too hot – almost at boiling point. Even the next morning it was too hot for comfort. That being said, however, I was extremely impressed with the facilities. They had been decorated as if in someone’s home, which was rather nice. Washing machines take $1 coins and cost $3 per wash. Hung on the line, the washing took less than an hour to dry. 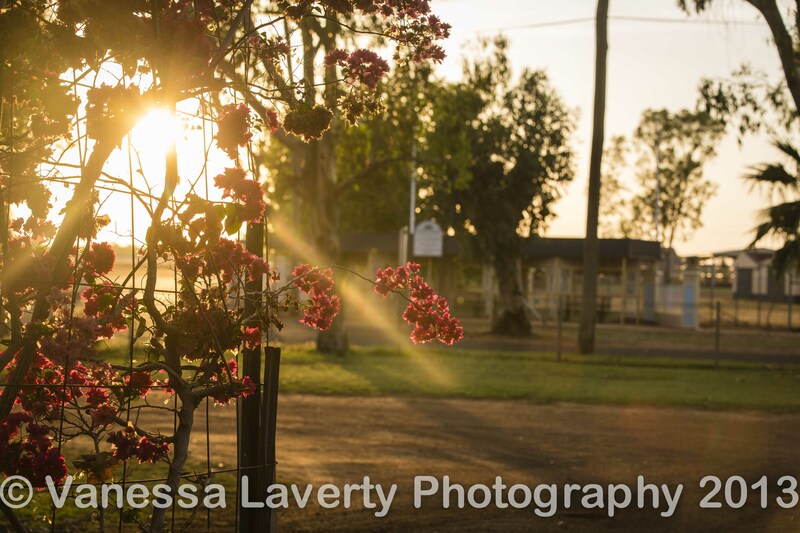 And here is a shot of our camp set up at Charleville as well as a lovely sunrise shot through a bougainvillea.